About a month ago, I linked a cool resource for a Polynesian-inspired roleplaying game called Mythos of the Maori. I am currently preparing to start a brand new adventure for one of my D&D groups that I have entitled "The Andrenjinyi of Maori," which utilizes the themes and concepts from that setting and combines them with the concept of a powerful celestial known as the andrenjinyi, a monster found in Kobold Press' Tome of Beasts. Today, I want to share with you the background and one of the hooks for this adventure. Aeons ago, as creation still lay in its primordial shape, the first and greatest of the world’s spirits known as the Rainbow Serpent shed its scales. These scales fell to the earth, each spawning a gigantic, black-headed snake sheathed in scales of every color. The Rainbow Serpent then departed for the stars, leaving its children as powerful guardians of land and sky, sun and rain, birth and destruction. These ancient serpents were known as the andrenjinyi, and from their sacred pools they ruled ageless and immortal, demanding sacrifice and rituals but offering protection for all those who submitted to their code of law. With their link to the primordial stuff of creation, the andrenjinyi held the power to shape creation to their will, often creating a fantastic menagerie of creatures to guard and serve them. 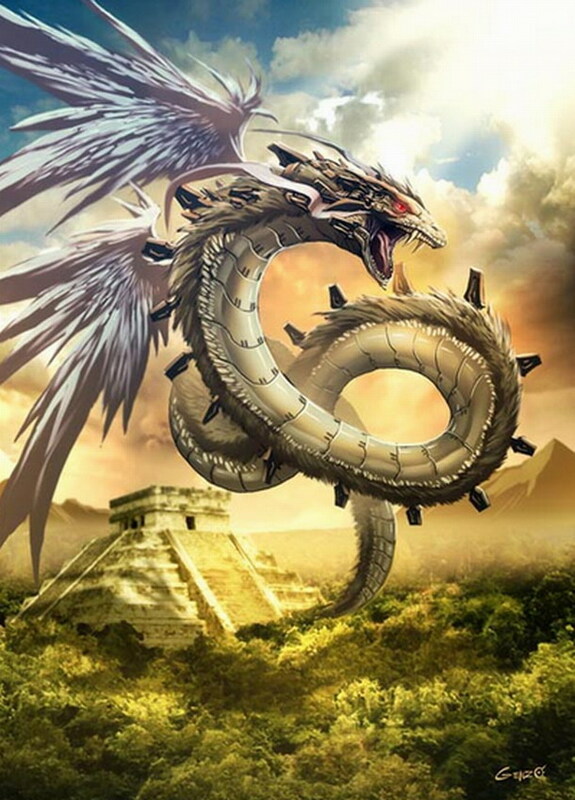 Yet, for all their power and immortality, the andrenjinyi have all but vanished from the world, and the knowledge of the Rainbow Serpent with them. Today, only one of these primordial spirits still exists, ruling over a tropical isle known as Maori. For centuries, the Maori people have dwelt in communion with this being, offering it sacrifice and ritual and binding their community to follow the ancient codes and laws that it dictates. Foreigners are forbidden from setting foot on Maori, save for a small district within their chief city of Kahului, where merchants gladly trade desirable wares for items that can be found nowhere else: exotic fruits and plants as well as unique items ensorcelled with the primordial magic of the andrenjinyi. Our heroes receive a vision about this ancient celestial and learn that its power is being corrupted by unknown agents of darkness. This vision further warns that should this celestial fall to this corruption, it could have devastating implications for the realms. The characters are tasked with learning the location of the island of Maori, discovering the source of the corruption, and putting an end to it. I can't wait to unveil this great setting for my players and share in their journey to unravel the mystery and decide the fate of the andrenjinyi.